Summertime: Make the Most of Your Mozz! Sean Kelly is our all-star monger who will be competing at the Cheesemonger Invitational this Saturday! Don’t forget to VOTE FOR HIM on Facebook! 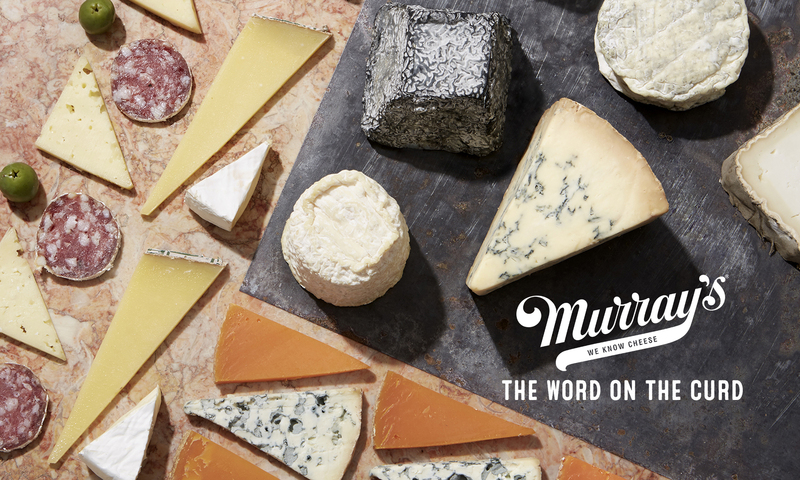 At Murray’s when we think of summer cheese we think FRESH! While we always love our stinky, nutty, firm and aged cheese friends, fresh cheeses go with warm weather picnics and sunlight like an oyster stout pairs with a strong washed rind. (Hint: that is an awesome pairing) But who is the undisputed king of the fresh cheeses? The noble mozzarella, of course. Mozzarella is a proud member of the pasta filata, or “stretched curd”, family of cheeses, meaning that the curds are kneaded together, stretched, and re-kneaded repeatedly until the desired texture is achieved. It’s this process that is responsible for mozzarella’s stringy consistency and lively, bouncy texture. The stretched curd family of cheeses branches out into several other groups as well, and includes provolone and caciocavallo. But mozzarella will always be the cornerstone of the style, and now that summer is finally here mozzarella season is in full swing. What better time to better know your mozz? Here are a few of our favorites for the season. Meaning “buttered” in Italian, burrata is comprised of a thin sheet of mozzarella filled with fresh curds and cream. Burrata originated as a way for cheesemakers to utilize the leftover curds from the cheesemaking process and, like many foods with exceedingly practical origins, it has become one of the best options out there. Maple Brook Farm, who makes rich, fresh and traditional burrata, learned their technique from an Italian cheesemaker from Puglia, in the heart of mozzarella country. If you think the idea of a cream and curd-filled mozzarella pocket bears a striking resemblance to some sort of criminally decadent dessert, you’re not alone. We love serving these bundles of delight with a drizzle of aged balsamic vinegar for a savory sundae. A far cry from the behemoths you may have seen on the back of a nickel, the Italian water buffalo is a dairy animal known for producing incredibly rich and flavorful milk perfect for cheesemaking. Buffalo milk is the traditional milk used for Italian mozzarella making, and Torre Lupara farm has been doing it since 1946 with a herd of 2,000 buffalo. Buffalo mozzarella provides an extra savory kick, tang and depth of flavor that makes it perfect for adding a layer of richness and moisture to just about anything. We love it in a BLT (a BBLT, if you will) instead of mayo. Or, if you have no sense of shame and love delicious things, just eat it whole, like an apple! The classic standby for cooking and snacking, cow’s milk mozzarella has a very special place in America’s culinary heart, particularly here in New York City. Made fresh in Brooklyn by Lioni Latticini from whole cows’ milk, this mozzarella embodies traditional Italian flavor while maintaining a commitment to locally sourced ingredients and careful attention to detail. This cheese absolutely begs to be toasted atop a meatball hero or paired with paper thin prosciutto for a smooth and salty snack. If you’re tired of the same old-same old tomato/basil/mozzarella combo, try this fruity variation: mango/mint/mozzarella.